On Saturday, Jesse and I headed to the SCA Trail for my first-ever Ninja Loop. 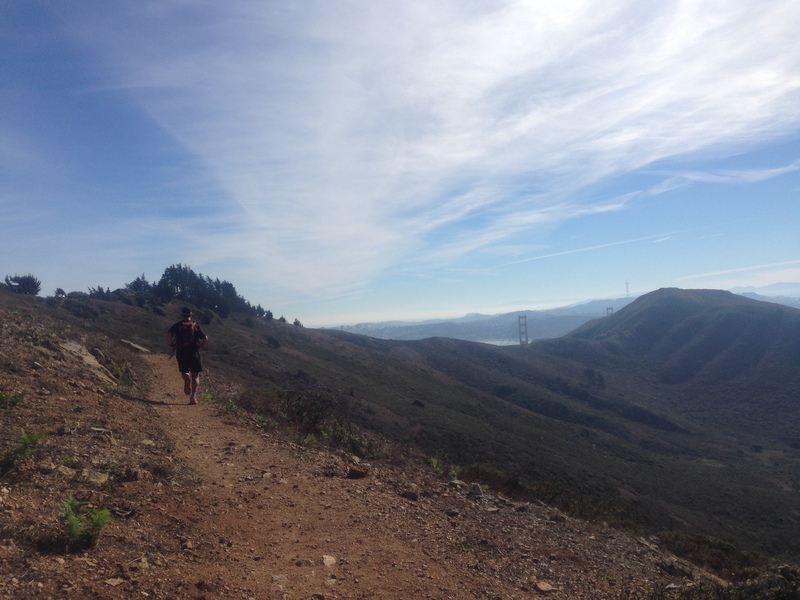 As Jesse has previously described, the Ninja Loop is a Marin trailrunner favorite. 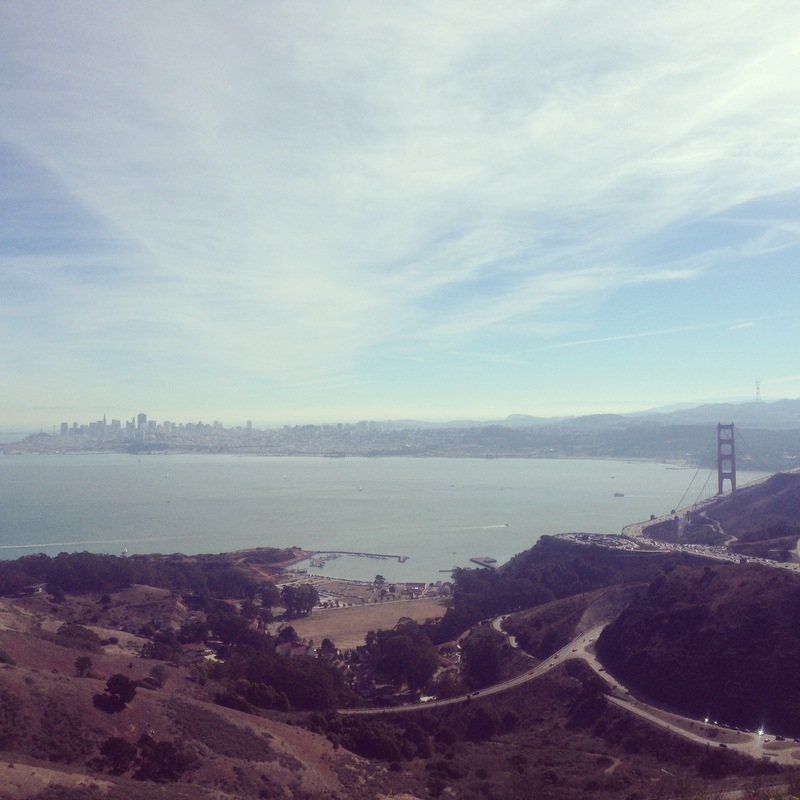 The challenging 11.5 mile-route was the perfect workout with the Mt. 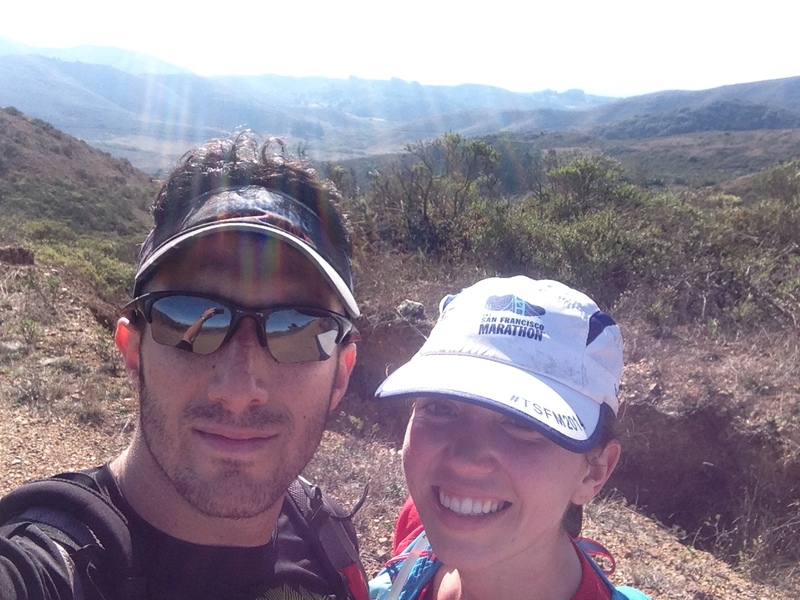 Tam Trail Run this weekend and the North Face Endurance Challenge less than a month away. 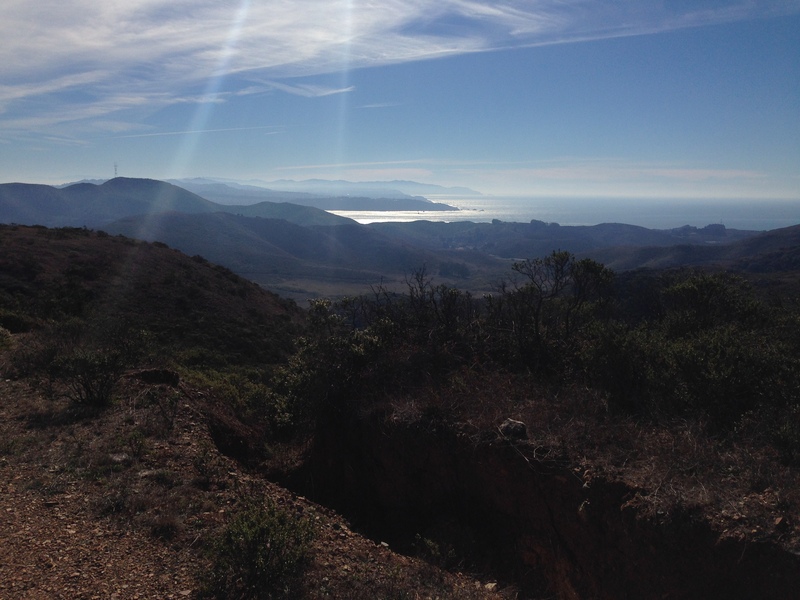 We tackled the steep portions of SCA, Miwok, and Tennessee Valley (sections that we will see soon at North Face), and I had a chance to try out my fabulous new running pack. I was more successful than usual running up steep sections; Jesse noticed that I tend to burn out quickly when running uphill because I try to run my normal pace, so I tried to shorten my stride and slow down a bit, which helped me sustain over a longer period of time. Although we both felt a bit zonked and sore after this run, it was great practice for our upcoming ultras. I just love the occasional trail run and this looks GORGEOUS! Nice job out there! I love hills (even though when I’m running them I sometimes don’t). I’m so glad you were feeling more comfortable with them out there! Thank you! Progress feels good. Glad you like trail running, too! With a name like Ninja Loop, I’d run it all the time just to say “I ran the Ninja Loop”, sounds cool. I am seriously going to do a trail run down there one day. It is just so beautiful! I’m loving it so far. It fits really well and is super comfortable. One aid station?? You’ll definitely need to bring some water/fuel. That’s criminal! How are you liking your Nathan pack? I love it! I’ve only used it twice, but so far so good. Are you in the market for one? Yeah! I have been looking around a bit, but I have not settled on one yet. A ninja loop sounds like a good name. You two rock! Best of luck with the upcoming run. Fun!! Sounds like you are “getting” it now!! 🙂 Keep up the good work! Just the views are worth the way up!